There has been numerous natural disasters happened throughout Indonesia recently, including earthquake in Lombok, earthquake in Palu and tsunami in Sunda Strait. Many people were affected by the damage from the natural disasters. They have lost their families, wealth and have been traumatized of the tragedy. They are in need help and support to get off the ground. As a response to these tragedies, on Friday December 28th 2018, PBI UMY made a donation for the victims of natural disasters. 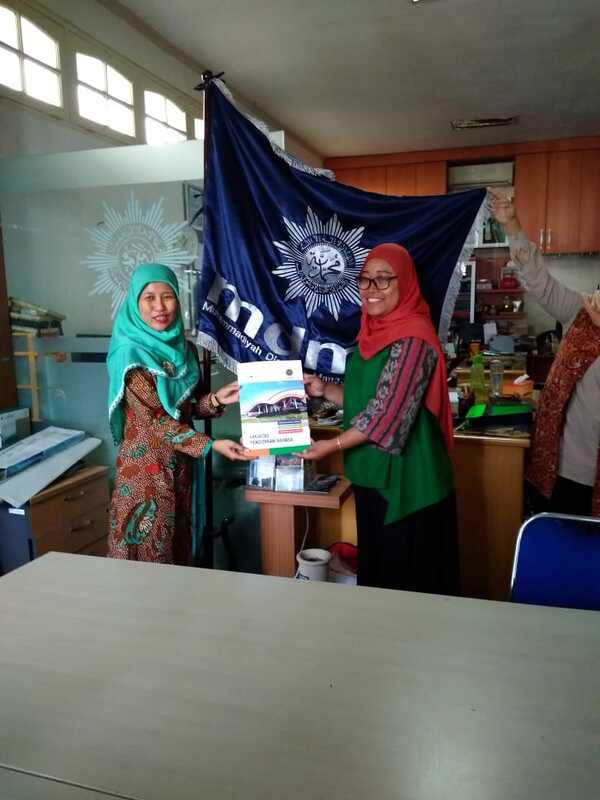 The donation is given through MDMC (Muhammadiyah Disaster Management Center) by Sri Rejeki Murtiningsih, the head of the department. MDMC is an institution under Muhammadiyah that coordinates Muhammadiyah’s resources in disaster management. Therefore, the donation from PBI will be distributed to several region especially for people in sunda strait through MDMC. Maryam Sorohiti, MH.Sc, the coordinator for the donation stated that PBI makes a donation for natural disasters because the department wants to take a part on disaster management. She further stated, “We should be grateful because Allah still give us peace, food and shelter. Thus, we have to help other people as much as we can”.